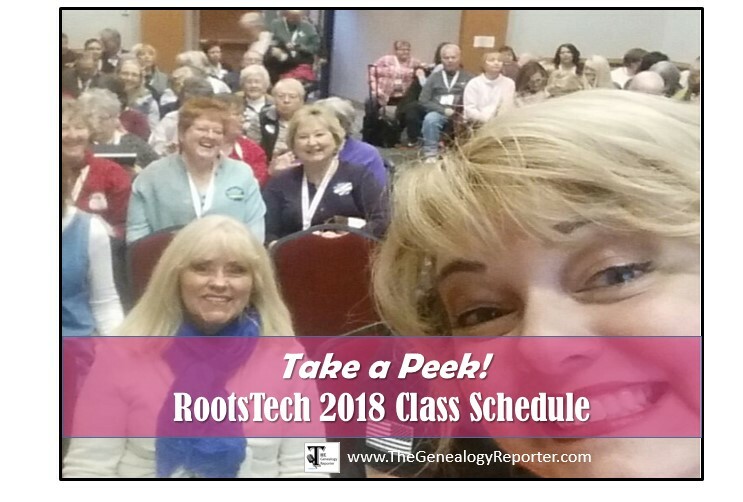 The RootsTech 2018 class schedule is here! As a RootsTech 2018 Ambassador and Speaker, I am excited to give you all the exciting news as it happens. Here is your first peek at the class schedule, lecture titles, and speakers for RootsTech 2018. Going to RootsTech in Salt Lake City each winter is like a genealogist’s right-of-passage. We might be a little obsessed, but many of us are already in the planning stages of our class and workshop attendance, get-togethers, and research time. If you haven’t already decided on attending RootsTech 2018, (February 28th through March 3rd, 2018) here is a quick video to tell you a little more about it. Early bird pricing for the full event is $169, but it won’t last long. See the comparison sheet for additional one-day prices and getting started passes as low as $69.00. Family Discovery Day is a free event being held on Saturday. Learn more about that event and how to register, here. Filter options are on the left of schedule webpage. You can view the entire schedule and class lecture titles, here. You can also filter the classes by day, skill level, category, and more. As you will see, there are classes for budding genealogists to long-time family historians and everything in between. Specialized topic categories include, but are not limited to, DNA, ethnic research, regional research, methodology, record know-how, LDS members, preservation, newspapers, photos, and my favorite, social media. Click on the up arrow to the right of the class title to see the name of the speaker and a brief description of the class. I will be presenting ‘Deed’ You Hear About These Underutilized Records? on Wednesday and Thursday at 11 am and Get Twitterpated with Twitter for Genealogy on Friday at 1:30 pm. I hope to see many of you there! This is my first and will probably be my last attendance for Rootstech. WHY: There is no available way to register for the different class sessions using my Personal Computer. It appears you must download the Rootstech app on your IPone, Android, or IPAD. This is SAD, SAD, Sad…….As a Retired Missile Test Engineer, one of the first things I learned was KISS, “Keep It Simple Stupid”. I do understand that the younger generation has a love affair with their phones and IPADS, but you are missing the boat with the older generation. Yes we created the technology for these devices, but we still like the POT, “Plain Old Telephone” where we can speak to one another without all the txting back and forth to answer often times a simple question that required interaction with the person on the other end verbally…….. I thank you for writing. I might have miss understood you, but are you saying that you had trouble registering for the event via your personal computer? I used my personal computer for registration with no problem. By going to http://www.RootsTech.org, a person can register for a Getting Started Pass or the full RootsTech pass, but you don’t need to register for the classes you want to attend. It is a first come, first serve kind-of-thing. The only classes that require pre-registration are the workshops and those too can be registered by using a personal computer. Now, you might be saying that you want to use something similar to the app to organize your classes so you know what to go to next. 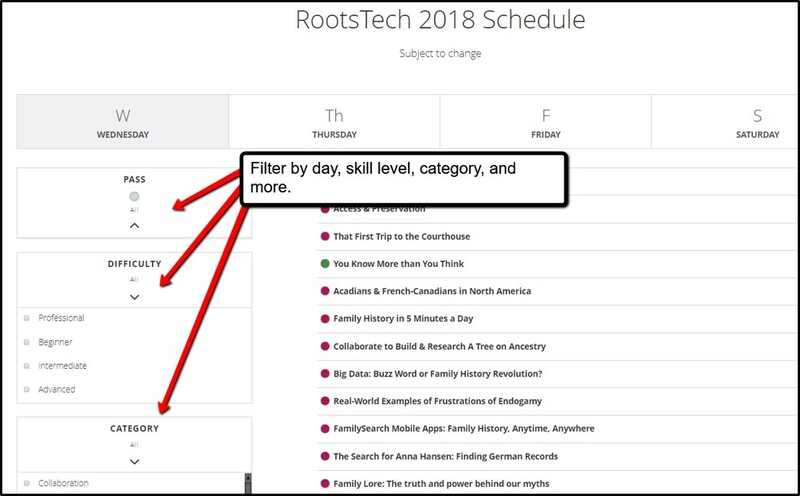 The schedule of class times, titles, speakers, and rooms can be found on your personal computer at https://www.rootstech.org/schedule. It won’t allow you to set reminders or mark anything as the apps on the smart phones do however. Did this help at all? 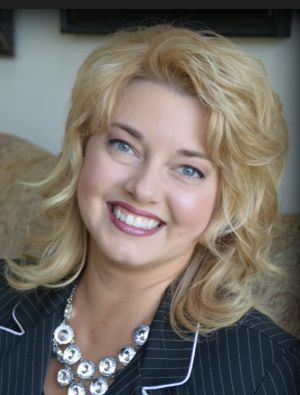 Please, please contact me personally at amie@thegenealogyreporter.com if you have more specific questions. I am anxious to help you and others who may be in the same boat and the only way that can happen is if we communicate and share our ideas!! Hoping to hear from you soon! I can not find how much the Getting Started Pass will go up to – tomorrow? How much will I save by purchasing today at the $69.00 price?